Let’s have a beach party! 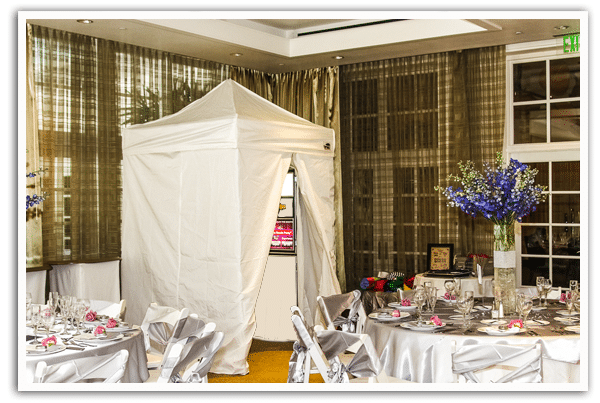 The Beach Party Cabana is a chic, cabana style photo booth with a white vinyl enclosure. This style is very popular for indoor/outdoor weddings and beach environments. The large 5 ft x 5 ft interior is big enough for group photos while providing privacy for the introverted. As an outside booth, it offers the shade needed for good photographs and stays cool on sunny days. It requires a 7 ft clearance for indoor use.